Project work processes: A “roadmap” or “playbook” to guide a project from the initial idea phase through development and planning for sanction and through execution to startup. This includes the phasing, gates, deliverables, templates, and degree of detail/quality in deliverables. Project governance and gatekeeping: The framework for all project decision making, including decision authority, criteria for each gate, accountability for project results, etc. Project organization: The competencies that a company has in-house versus those that are outsourced, the reporting structure, the timing of functional input to projects, and more. We often work with companies that want to drive project improvements by implementing fit-for-purpose systems for capital project development, execution, and governance. There are few downsides to fit-for-purpose systems. When designed and implemented properly, a truly fit-for-purpose system drives project delivery improvements linked to better returns on capital spend. Too often, though, a company will struggle to align a new or revised system, replete with known drivers of capital project effectiveness, with its existing organizational structure and competency framework. A challenge they face is knowing how to and the right order in which they must examine and build their system. As we develop solutions for a company, we must recognize that a system that is too onerous or does not fit with the company’s organizational structure—even if it reflects industry Best Practices—will not be implementable. For the system to be truly “usable,” it must avoid being bureaucratic with respect to the work process and gatekeeping approach. Conversely, a system cannot become so simplified that it does not meet its purpose, which is to provide the mechanisms—instructions, assurance, competencies—to drive successful projects. Finally, a system developer must consider the business that the system serves and what outcomes are expected or required to make projects successful. A commodity business may prize low capital cost. By contrast, a consumer products business may require flexibility and ability to handle late changes. A first step in developing a truly fit-for-purpose project system is an adequate (and accurate) assessment of the desired performance. Constraints (or boundary conditions) must be understood. For example, are certain contractual forms mandated? Is the company missing key competencies? If so, can these be trained or hired? All project system development engagements led by IPA Capital Solutions start with a Diagnosis, which addresses these and many other questions and sets the stage for improvement and starts the framing for the practical solution. The Diagnosis phase seeks to understand stakeholder concerns and needs as well as the current structure of the project system. The Diagnosis phase also establishes the typical capital project performance achieved under the company or system’s current approach. This allows us to quantify the potential value (capital savings, cost consistency, functionality, etc.) of proposed improvement efforts and make a case for change. The phase should conclude with recommended solutions as to which strengths the company should retain and what changes it should make to establish an optimal capital project system that is fit-for-purpose for the company portfolio, organization, and objectives. It is important that these recommendations are then discussed and “validated” before any next steps. Critical stakeholders in these discussions are the system gatekeepers. A system, no matter how rigorously it attempts to comply with Best Practices “on paper,” will not function effectively if it does not integrate well with the business processes of project initiation, funding, and value measurement. It is rare that a project system can “be everything to everyone.” Trade-offs and constraints must always be considerations and should be agreed upon before proceeding to the Solutions Design phase. It is important to get the sequence right in all areas of project system development, whether you are focusing on governance, organization, or work process (or all three). A project’s organization, for example, cannot be designed without first understanding the portfolio of projects that will be executed by that organization. The project portfolio (number of projects, project sizes and complexities, etc.) dictates, to a great extent, what the organization must include to execute these projects effectively, as shown in Figure 1. Consideration must be given to issues such as centralization and decentralization of resources, the right owner-contractor balance with regard to execution approaches, and the need for or availability of specific project competencies. IPA research and knowledge of the most effective organizations provide insight around these considerations and offer solutions. For instance, an IPA client wanted to restructure its project management office (PMO) because it was too large for the planned future capital spend and was not organized appropriately for the greater volume of smaller projects expected across the system. IPA Capital Solutions collaborated with the client, using IPA research to explore options and then assisted the client in developing the organization design and staffing levels to effectively manage its changing project portfolio. The basis of the design was the anticipated future portfolio. As with organizational design, a project work process cannot be designed without first understanding its foundation, or basis, which, in this case, is the project governance structure. Project governance is the framework for all project decision making. An organization’s project governance structure establishes the decision authority for stage-gate approval. It must reflect the company delegation of authority for project approvals and funding. When this is established, we can then develop the work process with considerations for organization and competencies. The work process reflects the requirements that a project must meet and supports the development of required deliverables to receive stage-gate approval. The work process is then documented in a way that provides assurance mechanisms, instructions, tools, etc., to make it fully usable. Of course, the governance structure and work process requirements for the system are shaped by management expectations for capital project performance. Accountability for specific performance also shapes the design of the new system. For example, if management assigns accountability for cost overruns that are outside the expected range to the project manager, the project governance structure and work processes must reflect that accountability. Presented below is a Case Study of how IPA Capital Solutions worked with a company to develop a fit-for-purpose work process to accommodate the delivery of large and smaller site-level projects. Companies seek to develop fit-for-purpose systems to be as efficient as possible in the initiation, development, and execution of capital projects. Companies want to know: How much is too much? Where can I draw the line? Where can I simplify (processes, organization, assurance, decision-making)? What are the most leveraging practices that drive outcomes (and can I skip the others)? These are not bad questions to ask! Organizations that do not ask these questions risk developing unwieldy organizations and processes that become bureaucratic and drive “tick-in-the-box” behavior rather than driving the use of best project practices. What is my portfolio? What is an acceptable risk profile? How is project governance directed by the company’s overall operational management excellence system? What are my expectations for system performance? What must projects deliver to be successful? How constrained am I by my organization and competency? Companies seeking to answer these questions without considering the foundational questions risk generating systems that are not truly fit-for-purpose. For more information on implementing fit-for-purpose project systems, visit IPA’s Consulting and Implementation Services page. A regional manufacturing company had no common company system (work process, governance, and organization) for capital projects. Sites developed and executed large and small projects relatively independently and the company relied on experience and ad hoc processes with varying results. Generally, though, cost overruns were more common than desired and some very large projects struggled to meet the objectives set at sanction. The company initiated an effort to make improvements across its capital project system. As a first step, the company centralized the project organization in which key capital project leadership personnel were deployed to the refineries but report to a central organization. The company then engaged IPA to implement a fit-for-purpose work process for capital project development, execution, and governance. The process had to be aligned with the company’s business needs, organizational structure, and competency framework. The first phase to develop the new project system was a diagnosis of the current system’s performance. This was accomplished through a project system review. The review established the strengths and weaknesses of the current approaches to identifying, planning, and executing capital projects at each refinery and defined the stakeholder needs. The review also helped to identify the potential value available to the company by making system improvements and establishing a case for change. IPA then collaborated with the company to develop a project governance structure for large projects. 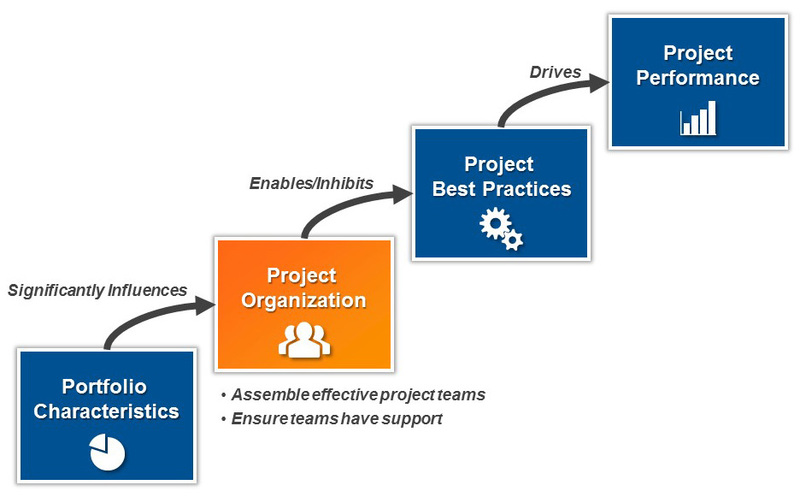 Using the governance structure as the framework, a project process workflow was developed. The creation of guidelines and tools to make the system usable followed. An overview of the major projects governance work process, including expectations for cost estimate accuracy, is shown in Figure 2. To make its approach to initiating, defining, and executing projects truly fit-for-purpose, the company also developed a governance workflow for its smaller, site-based projects. The small-project governance workflow includes flexibility to accommodate “micro” projects, which do not require separate distinct phases for project scoping and execution planning, and therefore do not require an FEL 2 gate. It is important to note that it is the gatekeeping requirements (i.e., desire for a mid-point check on project development or not) that drive the system requirements for a process that can be flexible in this manner. The further development of the work process then provides the “rules” around this flexibility and documents the processes and procedures to accommodate either governance workflow.